2014 is coming to an end. It has been a strange and quite turbulent year, both personally for many of us and politically looking at all the violence and xenophobia that seems to have spread. That said, it has also been a year of learning and of many great new experiences and news pointing in a more positive direction, the Finnish parliament's vote for equal marriage being one. Looking at what Timshel has done this year we conclude that during 2014 we have had the possibility to play shows in England and Denmark, released our debut album, played on national TV, played two big festivals in Sweden, been introduced by the Swedish rapper Dogge Doggelito, released a new single with our friends at 100 Songs, learned to play one of our songs on bottles, and we will finish this year by playing one heck of a show at Holiday Show at Ritz in our hometown Vaasa next week. 2015 will bring some changes and challenges for Timshel, what these are will become more clear later. 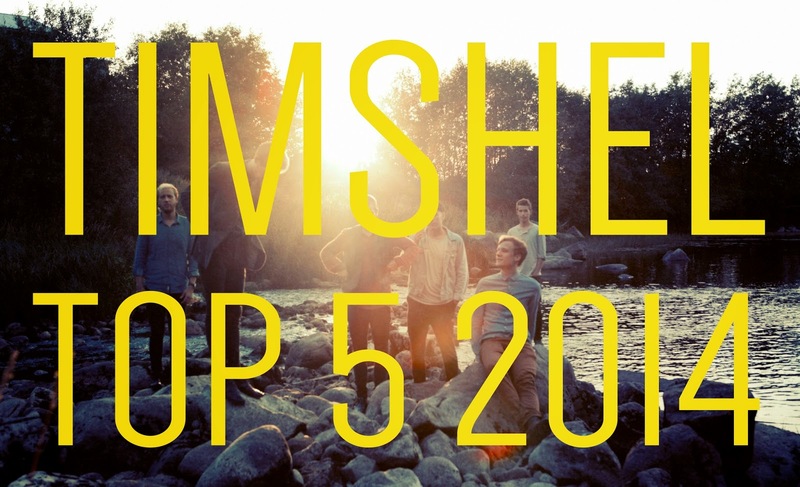 One thing is sure, there will be more music by Timshel! Until then you can enjoy the top 5 songs that the members have been listening to this year in our spotify playlist! Huge thanks to all for this year and we wish you happy holidays and a happy new year!